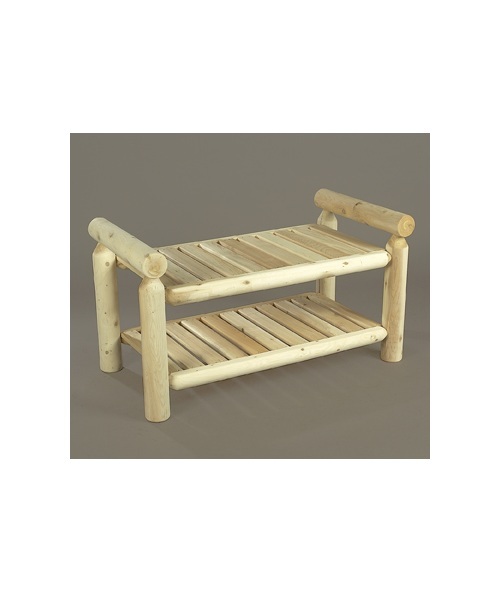 Whether you need a good place to sit and slip your shoes on, or a place to store blankets at the foot of a bed, this cedar quilt bench is an excellent choice. Cedar is naturally resistant to insects, so wool blankets and family quilts are safe here! Constructed from smooth sanded, solid cedar. Comes unfinished, but can easily be painted or stained to match other pieces. Natural cedar does not require a finish and can be used as is with little to no maintenance. Some minor assembly required.